It’s no secret that St. Kilda in Melbourne’s South-East is the city’s crowning glory. The beachside suburb is located only 6km out of Melbourne’s central business district, offering residents a coastal playground on their doorstep, so it’s no wonder home’s in St. Kilda are so highly sought after. The palm tree lined boardwalk is the perfect runway for the abundance of stylish retail stores, cafes, restaurants and bars. Walk a little further down, and you’ll find yourself overlooking the stunning sandy beach offering residents and visitors panoramic views of Port Phillip. With the perfect mix of modern and heritage architecture, this Melbourne gem has something to offer everyone. However, with the location’s real estate being in such high demand nothing is on the market for long. With that, you’ll probably find a property in the area you love and pounce on it without a second thought. In order to avoid buyer’s remorse, you should consider investing in a professional building inspection. At Premium Pre Purchase Inspections we offer building inspection services to check your potential home for any damages so you can move forward with peace of mind and confidence. Nobody wants to purchase a home, only to discover that they have bought a termite feeding ground. Not only does it run the risk of making your home’s structure unsafe, but it can also cost you thousands in repairs and treatment services. The team at Premium Pre-Purchase Inspections can help. Alongside our regular home inspection services, we offer a pest inspection service that can be done in conjunction with a regular building inspection service or as a standalone service. 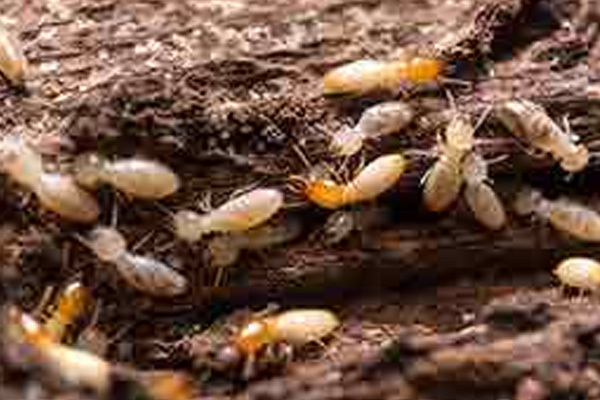 Our team will look to identify the presence of termites, or any signs that signal they have been present in the property beforehand, also advising you of any aspects that may make the home vulnerable to them in the future. Each of our inspections are conducted to comply with Australian standards, and you can expect a comprehensive report within 24 hours. With no shortage of things to do and a relaxed and enjoyable lifestyle on offer, why wouldn’t you choose St. Kilda? Spend your weekends enjoying all that St. Kilda has to offer. Enjoy your Saturday relaxing at the beach, enjoying lunch at one of the many cafés, before enjoying the sunset with a drink in hand listening to the smooth sounds of a local artist at Captain Baxter, St Kilda’s first rooftop beach bar. Continue the good times with a Sunday brunch date and a peaceful beach stroll. Living in St. Kilda provides residents with the perfect midweek and weekend oasis, before having to return to the daily grind. If you’re looking to purchase your next home in one of St. Kilda’s charming streets, call the team at Premium Pre Purchase Inspections. With years of experience inspecting properties all over Melbourne, you can rest assured we will provide you with the knowledge and peace of mind you deserve. Call today!